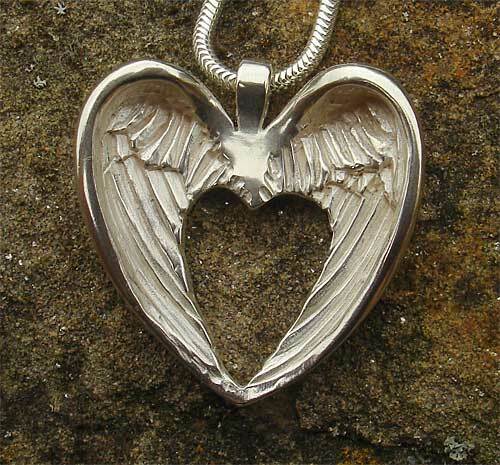 Silver Angel Wings Necklace : LOVE2HAVE in the UK! This handmade silver necklace for women is part of our range of spiritual jewellery for the 'awakening age of change' we are now living. 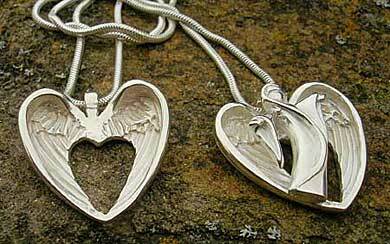 The necklace comes in the form of a heart that comprises of two angel wings. The angel wings feature feathered detailing and come in a polished finish on a standard 16-inch black leather or silver snake chain. 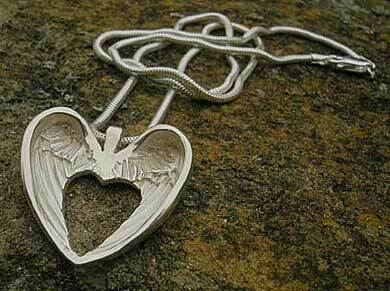 We think that this necklace symbolises goodness and purity of heart. The heart measures approximately 26mm in size.